"A part of Italy's national heritage and identity"
"Christie's cooperated fully with ICE Special Agents in New York who, with the assistance of the ICE attaché in Rome, collaborated with Italian authorities to determine that the Corinthian column krater is indeed part of Italy's cultural property and was stolen." 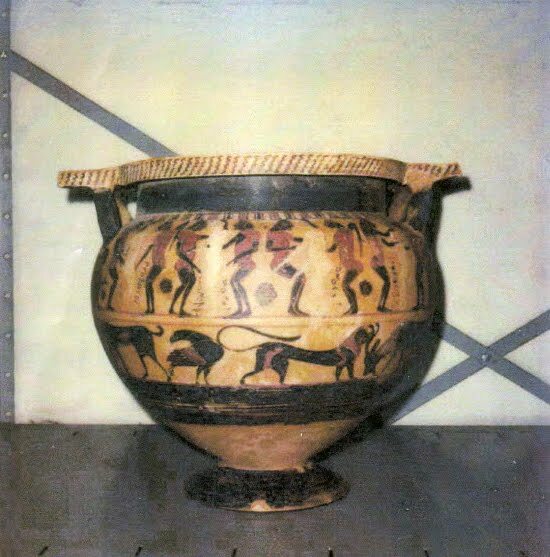 "The investigation into the Corinthian column krater revealed it may have been illegally introduced into the art market by Giacomo Medici and a third party at Sotheby's Auction house in 1985." Later in the year two further pieces that had been sold at the June 2009 sale were seized (see Art Museum Journal). Can we expect to see such full co-operation should further identifications be made from the Medici Dossier? The "stolen" (to quote from the ICE Press Release) Corinthian krater has set a precedent.